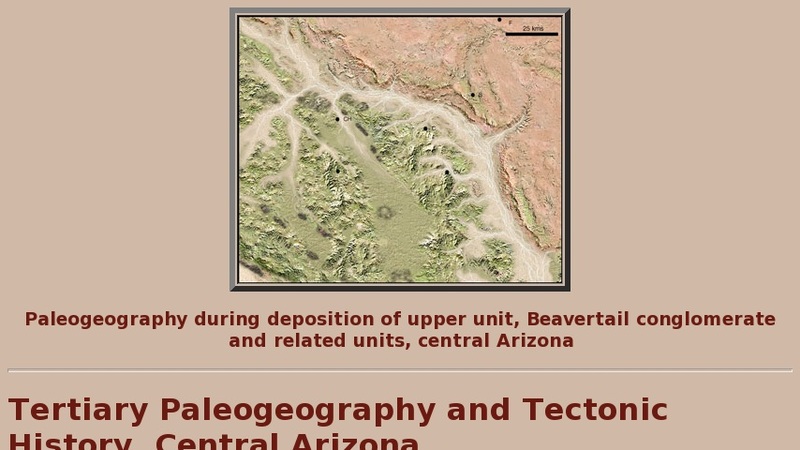 This website presents images and text depicting the paleogeography and tectonic evolution of central Arizona during the Tertiary period. Emphasis is on an evolving Oligocene to Miocene drainage system that documents the existence of the Mogollon Rim, the southern physiographic boundary of the Colorado Plateau. The goal of this page is to demonstrate the evolution of stream systems in relation to complex, dynamic, tectonic events in the Southwest including the Laramide orogeny, Cenozoic core complexes, Basin and Range faulting, and Cenozoic volcanism. This is done through photographs, stratigraphic columns and cross-sections of area geology.